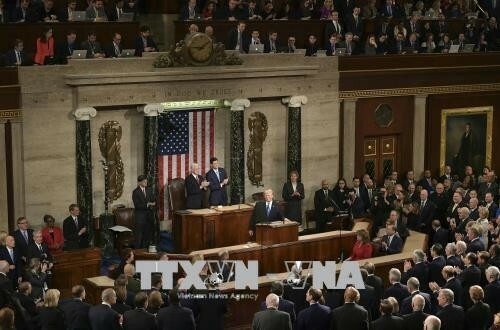 (VOVWORLD) - The US Congress has passed a 716 billion USD defense spending bill for the 2019 fiscal year. The National Defense Authorization Act (NDAA) for the 2019 fiscal year, submitted by Senator John McCain, was passed by a 79-10 vote in the Senate on Wednesday and now heads to US President Donald Trump to be signed into law. The House passed the bill last Thursday. The bill authorizes 7.6 billion dollars for 77 F-35 Joint Strike fighter jets, made by the Lockheed Martin Corporation and prohibits the delivery of the advanced aircraft to fellow NATO member Turkey. The approval of the bill supports President Trump’s strategy of bolstering the US army but prohibits US government contracts with China's ZTE Corporation, which Trump has said he wants to revive.